Applies to wheelchair spaces in galery like auditorium, assembly halls, theatres, sport centres and similar facilities. Accessible seating space should be provided in a variety of locations to give persons with physical disabilities a choice of admission prices. 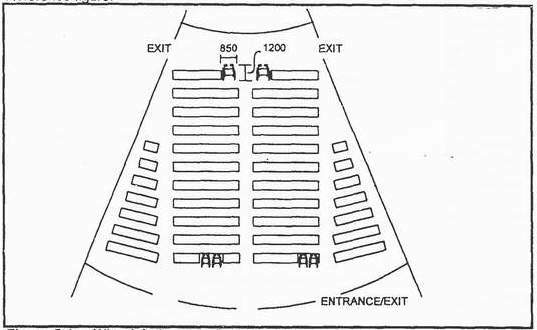 Seating area must be installed at position allowing ease of evacuation. Wheelchair spaces to be allocated the ratio of 1 for every 100 seats with the minimum of 1 seat. For hearing impaired person, a hearing aid broadcast system such as a magnetic loop or an FM transmitter/receiver may be installed. Magnetic loops should preferably be installed on the floor surface. 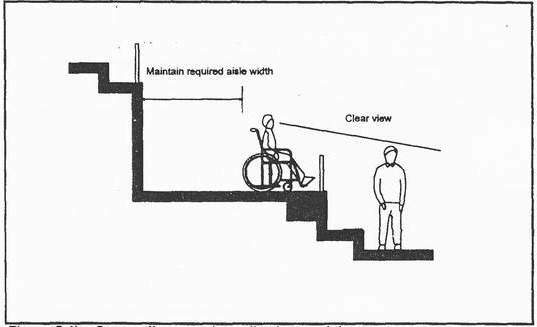 Figure 5.4a : Wheelchair space in auditorium. Figure 5.4b : Space allowance in auditorium and theatre.